We’ve cooked up some tips on how to make dog food, nutrition guidelines and our favorite homemade dog food recipes. We guarantee your pup will benefit from your efforts and could even improve behavioral problems that stem from dietary deficiencies. 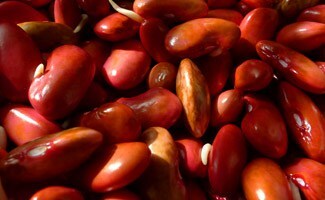 What Are The Benefits Of Homemade Dog Food? Homemade dog food can benefit your canine companion in a number of ways — especially if you have a pet who suffers from allergies, gastrointestinal sensitivity or skin problems. It’s also a good idea to have these recipes handy in case you happen to run out of dog food. Treat your dog as you would any of your other family members by preparing nutritious food from trusted ingredients. Here are some general guidelines for a balanced diet. But just like humans, every dog is different, so this is not meant to be a one-pup-fits all rule. Serving size, your pup’s weight, size and activity level are all factors you should take into consideration when determining what’s right for your dog. Before embarking on a homemade diet, consult with your veterinarian to make sure you’re not barking up the wrong tree with your dog’s unique nutritional needs. In an age of UberEats, Caviar and having just about everything you can think of delivered, we are lucky enough to have the option to purchase fresh, natural dog food that can be shipped to your doorstep too. It can be a huge time-saver and worth the cost after you add up how much buying all the ingredients is. Pet Plate ships frozen so you can keep it for when you want to treat your pup or serve it every day as a part of regular meal time. 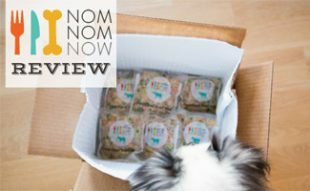 No dog will complain about this tasty meal made with fresh and easy to pronounce human-grade ingredients and you can spend your time on more important things, like belly rubs and walks! We love this recipe for its nutritional value, its quick prep time (10 minutes) and the easy crockpot cooking. It yields 12 cups and can be frozen for future feedings. When in doubt, an excellent resource is Home-Prepared Dog & Cat Diets: the Healthful Alternative by Donald R. Strombeck, DVM, Ph.D., a long-time expert in veterinary medicine. First published in 1999, the book is considered by many pet nutritionists to be the Bible of healthy homemade pet nutrition. For even more cooking options, be sure to check out Home Cooking for Your Dog: 75 Holistic Recipes for a Healthier Dog . We strongly emphasize discussing your dog’s specific nutritional needs with your vet first as every pup is different. And remember that switching your dog’s food to homemade from kibble is a slow process so patience is key. No, we’re not implying your new canine culinary skills will cause your pet to throw up. We’re referring to the raw diet fad, more affectionately known as “BARF” (which stands for Biologically Appropriate Raw Food). BARF has gained a lot of popularity among dog owners over the last few years. The basic idea is to feed your dog raw meats, grains and veggies just as his canine ancestors did millions of years ago. Learn more about the benefits, risks and get a raw dog food recipe to try at home in our raw dog food diets article. For a more extensive list, check out this article. 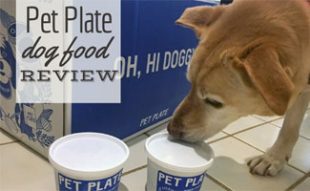 If all that sounds like a lot of work but you want your pup to experience homemade food, give Pet Plate a shot. 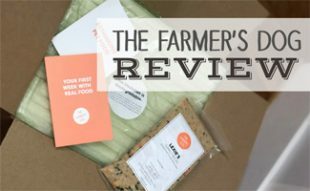 With this service, you can have natural, fresh dog food sent right to your house (we’re big fans and customers ourselves)! 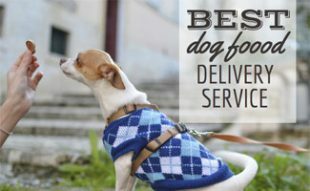 Or read our article on other dog food delivery options to have healthy fresh meals, kibble or other dog food arrive at your doorstep when you need it. 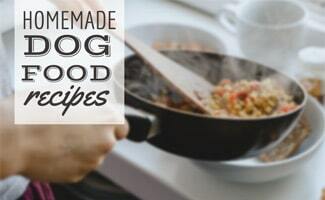 Do you have any homemade dog food recipes to recommend? I thought rosemary was toxic to dogs. According to the ASPCA, rosemary is not toxic to dogs. I don’t see when to add the eggshell or how much in these recipes. I spent two decades as a companion animal nutritionist, and the recipes in this article are bunk. Lacking in major vitamins and minerals. If you’re going to make homemade pet food, cooked OR raw, you NEED organ meats and bone for complete nutrition. Period. If you don’t use organ meats, you need to try to find a balance of supplemental vitamins and minerals… and having just one of these ingredients out of balance can mean suffering or death for your pet. Do you have any recipes you could share? I’m very interested in getting away from the processed dog foods. But in the recipes, you never mention any of these things. How much of these should be added to each recipe? Hi Matt, Thanks for your question. You can make sure your dog gets calcium and fatty acids by sprinkling a powdered supplement or drops to your dog’s meals. There are many products on the market. Because the serving size varies widely based on your dog’s weight and other factors, we urge you to consult your vet for the best recommendations for your pup. If nothing works the vet can do a test just be sure they understand you’ve change the diet because that’s the first thing they go to !! hi everyone, I like the recipe suggested by DeAun, but I would like to add eggs because it is healthy and the shell has calcium. How many eggs a day could I feed a 80lb dog? I would do 1 egg per day. I’m not a canine nutritionist just based on my own research. If you have relatives or friends that hunt/fish, they can be a great source of cheap or even free protien. Hormone and drug free. Freeze in portions that you will later use. Buy up winter squash when in season, cook up and freeze for future use. As mentioned by others, ground egg shells are a scource of calcium. But one can add yogurt or cottage cheese as well. As I look through the various recipes, I am impressed. However, there is one thing that disturbs me greatly. don’t totally take my word for it – look it up. Do you have any recipes for a high fibre dirt. Or similar? My 12.5 yr old English Bulldaog has developed what they think is IBS. Thanks. Don’t use any of these recipes. They are so terribly lacking in essential nutrients for dogs. For one they have almost no calcium. So, other than your criticism, do you have anything to add? No constructive at all. Constructive: Dr. Pitcairn’s Natural Health for Dogs & Cats is comprehensive on supplements, recipes and nutritional requirements. It’s a hefty book and the layout is frustrating. But it is more complete than a blog post can be. I’ve used it since ~2005 for 4 dogs. Vet checks and blood work verify good health. Where can I find the book mentioned above by Donald Strombeck DMV free online?? You can find it at: http://www.dogcathomeprepareddiet.com. Thanks for your interest! Because my Sheeba called MICHI (delightful in Japanese) and Lady India Border Terrier. I needed to cook grain free food. Oh, do they love it but now no choice but cook. 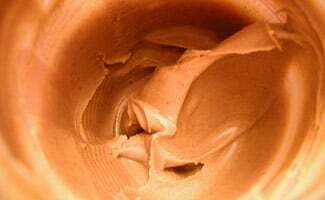 Homemade dog treats will have many benefits over the foods purchased from the market. First of all, you can decide the right amount of nutritional value you are going to feed your dog and even you can able to manage cook different kind of varieties and tastes that your dog prefer. I do not know what discussion is going on, i do have some questions. I am new to all of this making your dog food and I wish i had done this from the start, but better late then never. I can only do Chicken or Turkey recipes, my male English Setter, can not eat beef, he has had 2 severe pancreatic attacks, once at 1 1/2, and then the camp ground managers stopped and gave him treats when we were gone, both times we almost lost him. That being said, with their weight, they get 1 cup of dry in the am & pm, should taht be what i feed to them with cooked or raw dog food? 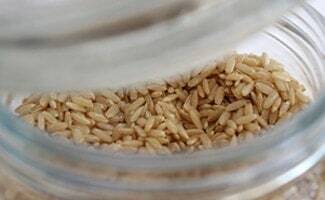 How about vitamins & minerals, i cant find it now but i seen one recipe taht said you can not feed a home made diet without feeding them the vitamins, and is there specific ones that i should look for and is that placed in their food when you serve it, or when you cook it? And what is the best book to help decide raw or cooked, and recipes for both, along with the vitamins..
Do we take vitamins and minerals daily? At least my friends and I don’t. If you have square meal you get from food. Same goes for the dog. Although now I am in UK, in rural india dog ate what we ate and they were working dogs. Lived to ripe old age. I just started making food for my 10 yr. old lab. Here goes: 2 lbs hamburger 1 lb chicken hearts and gizzards, 1/2 lb beef liver, 8 cups brown rice, large can of collard greens, small can of pumpkin, small can of peas and carrots, 1/2 cup blueberries. 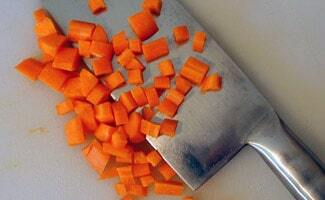 I chop up the liverand gizzards. Put it all in 16 cups of water and boli for 20 minutes. I vary the veggies and fruit. She weighs about 90 lbs and needs to lose weight so I feed her 2 lbs a day. I add chia seeds when feeding. 21/4 t a day. She was a picky eater before so she got way too many human food treats. Now she gobbles down her food and no more begging. Just started so I might have to adjust her serving size. Hello DeAun, I love your recipe. I think it has a good balance.I use frozen peas and carrots because of the salt that’s included in can goods. I also use half brown rice and quinoa.I’m going to try it with fruit. I don’t see sources for iodine or enzymes or calcium in the recipes, and also I think salt should be on the list of what NOT to feed our dogs. I know some folks give table scraps with good intentions but with loads of salt in it. Most companies that makes homemade dog food include the heart, kidneys,and liver of whatever meat you want. Do you have recipes that include these ingredients? They charge at Least$200 a month to feed my dog if I order online homemade but if I get these ingredients at the butcher it’s only about $12 for the organs so I want to do it myself. Can you please suggest recipes that include these? 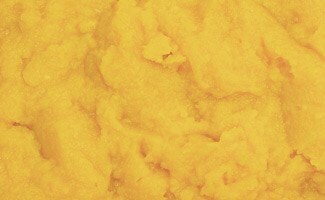 I just posted my recipe 2/7 above. It has chicken hearts and gizzards plus beef liver. Is there an age suggestion to start a homemade diet? I’m looking to feed my puppy fresh meals but his is 3mths, is this ideal? Also to go along with my previous message, I add the supplements I mentioned to each serving. Dr. Goodpet has been recommended as a good source of some of the ingredients, vitamins and digestive enzymes, I add Kal Bone Meal, and The Missing Link superfood supplement. As I said earlier, do your own research to find the proper mix of real food for your pet. I’ve only been making my dog his food for a couple of months. In all the research I’ve done from Holistic Vets and other knowledgeable people I agree with the person who said these recipes are lacking in nutritional value for your pet. I learned that dogs have a short digestive tract so brown rice is not good for them, it will go right through them without being digested. If you want to feed your dog grains, ( I don’t) white rice is at least digestible. Bone meal should be added if your going to feed your dog any meat. Dogs in the wild would eat the flesh of pray also some of the bones. Feeding your pet veggies and fruits is good if you add canine digestive enzymes to the food. Apparently this will help to break down the veggies and make them digestible actually adding nutritional value. It’s a must to add some other nutrients like a superfood supplement containing ground flax seed, dried kelp,lecithin, the B vitamins, omega 3 and 6 fatty acids and so many other needed ingredients. Adding prebiotics and probiotics is necessary also. One of his favorite meals is chicken baked in a little water, no spices, salt or pepper, added to some steamed carrots, sweet potato, acorn squash, broccoli some raspberries and blue berries. I usually make enough for 2 meals per day for 5 days. Everything I’ve learned says keep in the fridge no more than 3-5 days….so I push it a bit with the 5 days.I hope what I’ve learned will help someone. I suggest doing a lot of research, it seems that feeding our loved little pets can harm them if we feed them the wrong things over a period of time. Are there any specific recommended recipes for dogs that are susceptible to yeast eat infections? Yes no wheat,grains, dog bones are a big culprit, that will feed the yeast, even if it say’s organic wheat free, their are still hidden traces of gluten in them. Unless you can make them yourself with Verified gluten free flour. Not all gluten free is 100% free. My dog is highly sensitive to it, and so am I. So my experience is based on my own history of dealing with yeast for my 16 year old female Cockapoo Penny. What are the recommended portions of food from these recipes for the various size dogs? Hi Kathy! I believe there was a link toward the beginning of the article but, for a puppy, the general rule (from what I understand) is 1/2 a cup for every 5 pounds of weight. So, if your pup weighs 15 pounds, you’d feed it 1 1/2 cups a day, ideally splitting it into three servings (most commonly 7am, 12pm, and 5pm) of 1/2 a cup. I hope I helped you out a bit! How much for grown dogs? So if you’re dog is 100 lbs you give them 10 cups of food?! this cant be correct. Makes sense, split this into 3 servings & you have 3-1/3 cups per serving. I love both my dog and my 4 cats. However, my dog is kind of a gourmet eater and she loves some vegetables like carrot, broccoli and cauliflower. I would not give her something I would not eat but I want to make sure to give her the right nutrition because she is dog.